Calling all mamas! Girls’ World has a newly revamped infant section, TONS of special occasion outfits/decor, plus a fun Mommy and Me event coming up May 21! Spread the word to your momtourage! 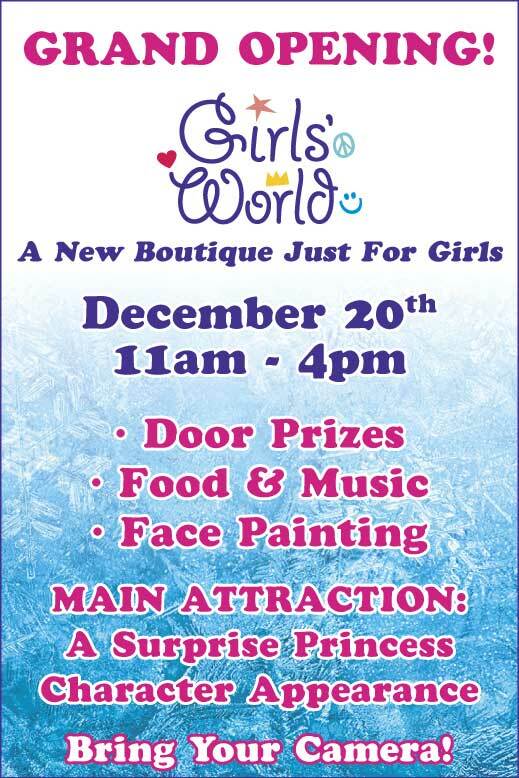 Girls’ World: A Sneak Peek Inside! Maria Versluis, the owner of women’s fashion boutique Pink Tulip Club (with two stores – one in Hyde Park and the other in Montgomery), is opening a children’s clothing store. Maria says that the boutique, located at 7819 Cooper Rd., will carry casual apparel, party dresses, designer denim, jewelry, accessories and gifts for girls ages 4 to 14. Click here to like their Facebook and you can attend their grand opening event on Dec. 20 to get the first glimpse of the new store! Details below!